JOHANNESBURG, South Africa — Conference delegates at the Respect for IP international conference held in South Africa this week were participants in a series of top-level panel discussions about the conference theme that included views about balancing intellectual property’s economic value with achieving social development goals. 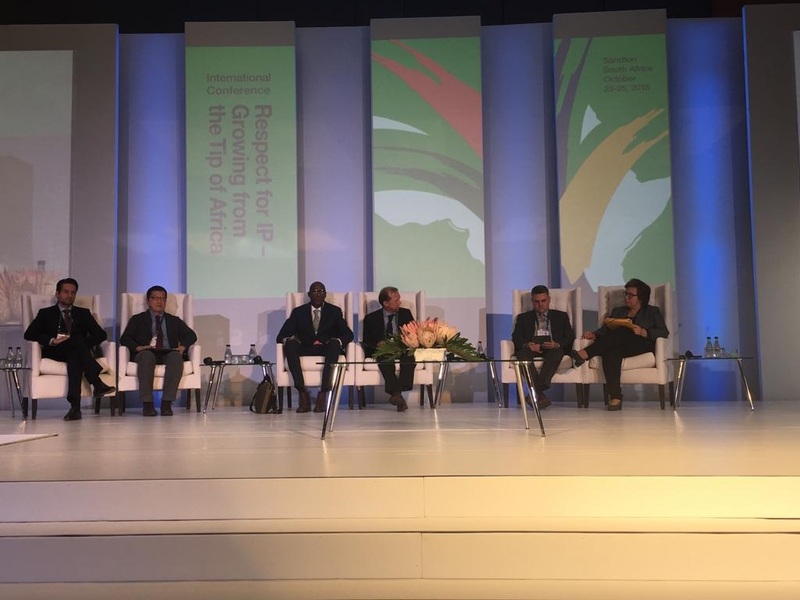 The Respect for IP – Growing from the Tip of Africa conference, officially opened on 23 October and provided the space for policy dialogue and idea generation on the conference topic for some 400 participants from some 70 countries. Conference delegates included government ministers, policymakers, judges and senior enforcement officials, as well as representatives from international governmental and non-governmental organisations and businesses. 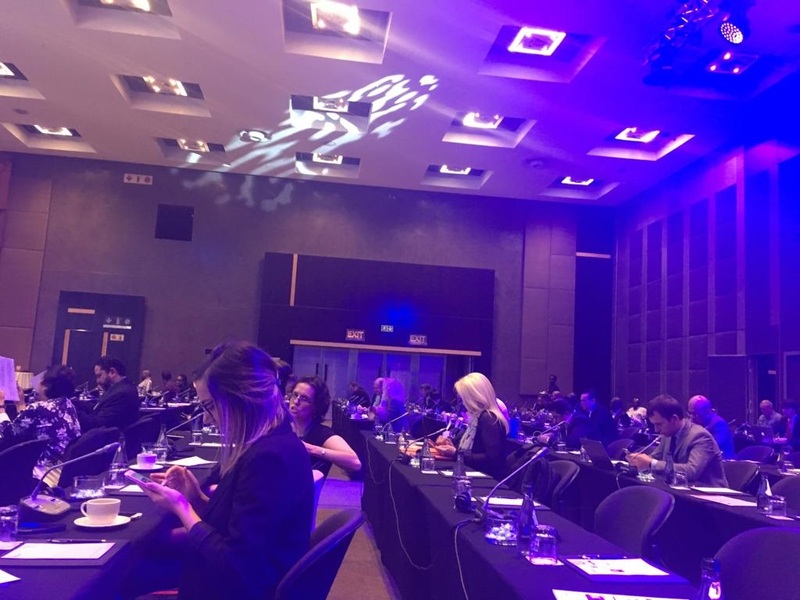 The conference was jointly organised by South Africa’s Companies and Intellectual Property Commission (CIPC) and the World Intellectual Property Organization (WIPO), together with the International Criminal Police Organization (INTERPOL), World Customs Organization (WCO) and World Trade Organization (WTO). The conference held in Johannesburg, South Africa ended on 25 October. South Africa Minister of Trade and Industry Rob Davies kicked off the final day of the conference with a message to delegates about balancing intellectual property rights and social development goals. The minister was unable to attend the conference and appeared in a recorded video message screened to delegates. Davies added that digitally transmitted works have created new challenges around intellectual property rights enforcement. There was a general consensus among conference speakers that digital technologies have fundamentally transformed global commerce. He took delegates back to the year 1999 when the global music industry was worth US$ 25 billion with almost all sales due to the sale of physical records. This golden era was upended by digital piracy with the advent of Napster, the peer-to-peer file sharing internet service, he said. However, challenges in securing intellectual property rights remain. These include issues such as digital piracy and what Kwee Tiang Ang called the ‘value gap’. The value gap is generally described as the discrepancy between the value that digital service providers receive from the use of music by users on their platforms and the revenue returned to the music production ecosystem, which is made up of artists, composers and businesses who all contributed to the creation of that music. Despite the challenges to intellectual property that digital technology presents, IP located in trade, especially for developing countries, was a considerable talking point at the conference. Nurse said developing countries have to embed IP in trade. He said that generally, IP is not in the trade strategy for developing countries. The importance of securing intellectual property rights and multilateralism were recurring subthemes of the conference, with panellists referring to their value of IP as a major economic driver. Agata Gerba, deputy head, Intellectual Property and Public Procurement, Directorate-General for Trade at the European Commission, explained that IP generated 38 percent of all jobs in the EU. Gerba added that technology must be protected because it gives countries a competitive edge. Regional alliances and the measures they have put in place to promote and safeguard IP were also major talking points at the conference. In a conference session titled, Regional Alliances: Agents of growth and champions of effective IP systems, Rongai Chizema, chief technical advisor and head, Implementation and Coordination Unit, Department of Trade and Industry in the African Union Commission, described to delegates the origin story of the African Union (AU). The union was initially established in 1963 as the Organization for African Unity and was at the time pre-occupied with neo-colonialism. Chizema said that since then, the AU has over the years focused its responsibilities on economic development. “The subject of IP is very central to economic transformation for the continent,” he explained, adding that innovation and IP are part of the development agenda for the continent. “For industrialization to move [forward], we need technology…, we need innovation and so IP becomes a very important discussion point,” he said. Speaking on the same panel as Chizema, Lungile Dukwana, chief strategy executive, CIPC, DTI, expressed the relevance of the BRICS [Brazil, Russia, India, China and South Africa] alliance as representing some of the fastest growing emerging economies. Dukwana said that initially BRICS did not express themselves as a group on IP but are now promoting public awareness of IP in BRICS countries. While the conference sparked conversation and dialogue among delegates, it was also not free from criticism. We are disturbed by the insensitivity and tone-deafness of hosting such a meeting in South Africa, a country where excessive respect for intellectual property (IP) meant that HIV medicines remained excessively priced at a time when people were dying of the disease in large numbers. A country infamously sued by 39 international drug companies for attempting to improve access to affordable medicines in 1999. There is ample evidence that South Africa’s legal framework currently provides too much respect for intellectual property. A 2011 University of Pretoria paper found that as many as 80% of patents granted in South Africa do not meet the country’s legal criteria for patentability. A 2012 research report found that when presented with the same set of patent applications, South Africa typically grants around 66% more patents than the United States or European Union. We have so much respect for intellectual property in South Africa that at present we grant patents without examining whether the patents are merited. Linda Daniels may be reached at info@ip-watch.ch. "Multi-Agency Conference Addresses Positive Aspects Of ‘Respect For IP’" by Intellectual Property Watch is licensed under a Creative Commons Attribution-NonCommercial-ShareAlike 4.0 International License.